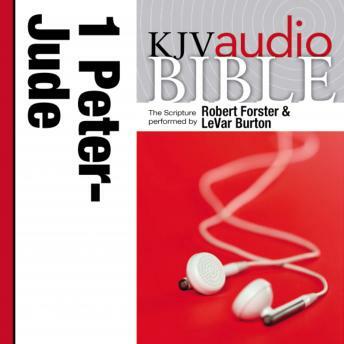 The King James Version (KJV) of 1 and 2 Peter; 1, 2, and 3 John; and Jude in a pure voice audio format. Clear and uncluttered, this Bible speaks plainly, making it easier for you to enter into God's Word. Actors Robert Forster and LeVar Burton speak new life to the cherished and revered translation.